Who all is pumped up about VBS 2017?! It may be almost a year away, but lots of people are already starting to make preparations for the big undertaking that is Vacation Bible School. If you’ve ever been on the worker side of VBS, you know it’s quite a job…and very important one at that! There are quite a few themes to choose from this year, and they’re all SUPER cool! Lifeway’s theme is lighting up the sky with Galactic Starveyors – a study where kids will learn all about the Creator of the universe. Group Children’s Ministry’s theme is Maker Fun Factory, where kids are getting a little technical and taking on the role of inventors as they study God, the greatest inventor of all time. 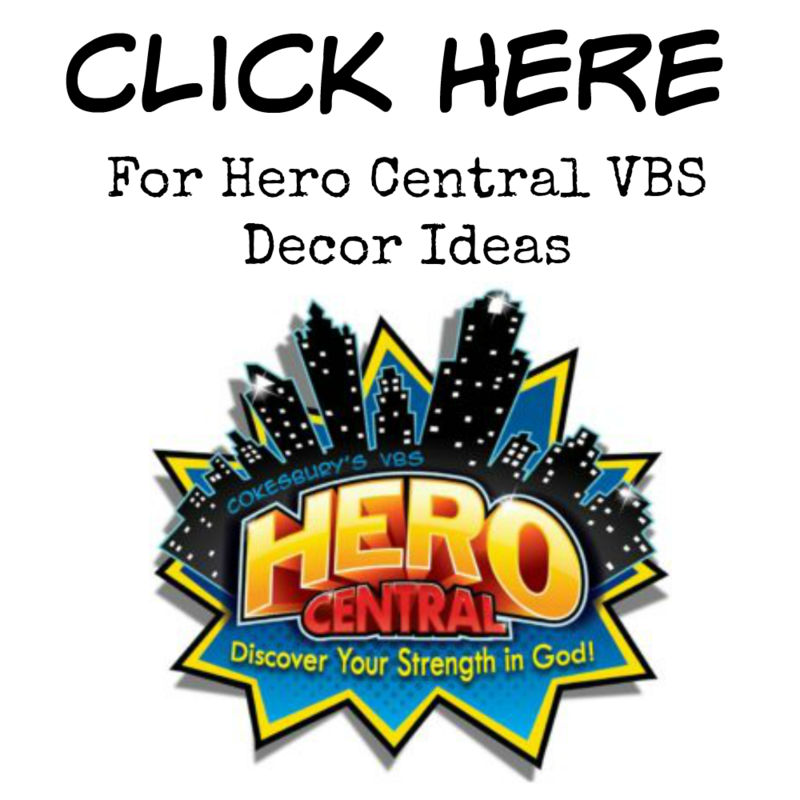 This year, Cokesbury has rolled out an amazing VBS theme called Hero Central, where children will be learning all about the different heroes of the Bible while discovering their own strength in God! Now that’s a message to really get excited about! If you’ll be helping out with with VBS 2017 and are looking for some fun craft alternatives to use with the Hero Central theme, I’ve put together a list of 12 craft-tastic ideas to help you and the kiddos really get in the hero spirit! If you have any additional ideas you’d like to share, just leave a comment below! 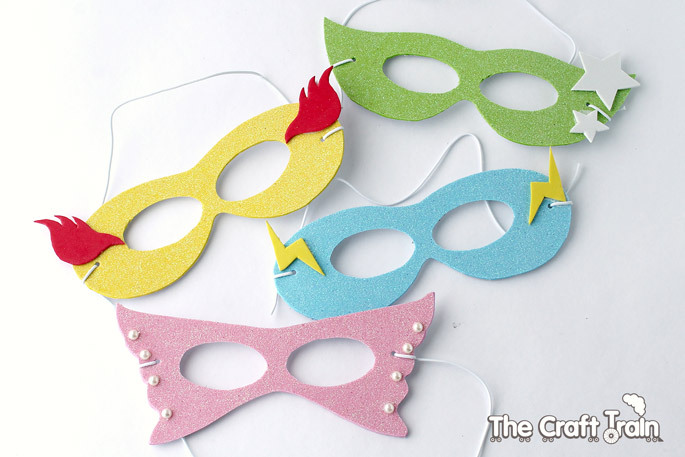 Simple Super hero mask – Well all know that a superhero needs a mask, right?! I think these little masks are so cute, and they’re easy to customize and get creative with! You can find out more about this simple craft, plus find a free printable template over at The Craft Train! DIY Superhero Mini Shield – A hero needs to have some solid armor, and these cute little DIY mini shields will do just the trick! Get the scoop on how to make these little shields of awesomeness over at Spaceships and Laser Beams! Upcycled T-Shirt Capes – If you’re going to fly faster than a speeding bullet, you’ve got to make sure your cape can help you get the job done! Besides, you want to really look the part of a true superhero, right? Of course you do! Find out how you can make these simple capes using old repurposed t-shirts over at The Tiptoe Fairy! 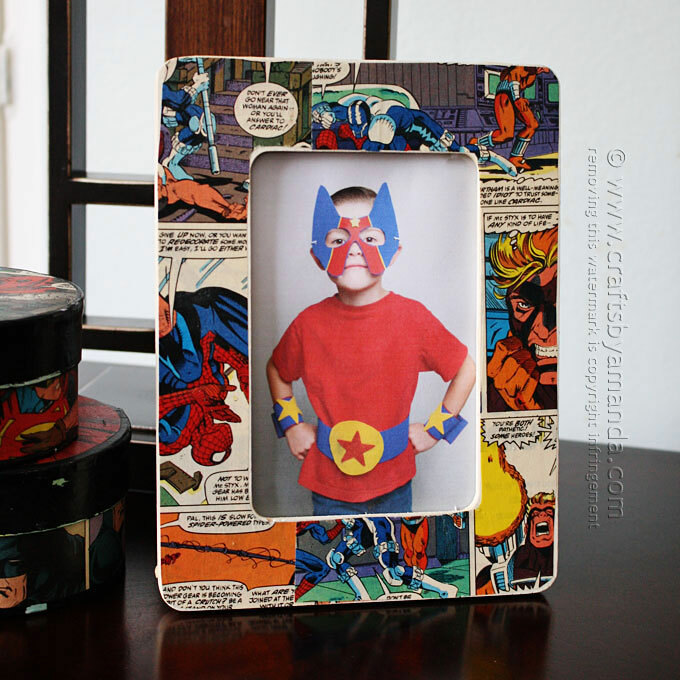 Decoupaged Super Hero Picture Frame – We’re always taking a ton of pictures at our VBS, and I’m sure you will, too! Make sure the kiddos have a super cool frame to put their VBS portrait in! Get the scoop on how to create this sweet hero-inspired picture frame over at Crafts By Amanda! 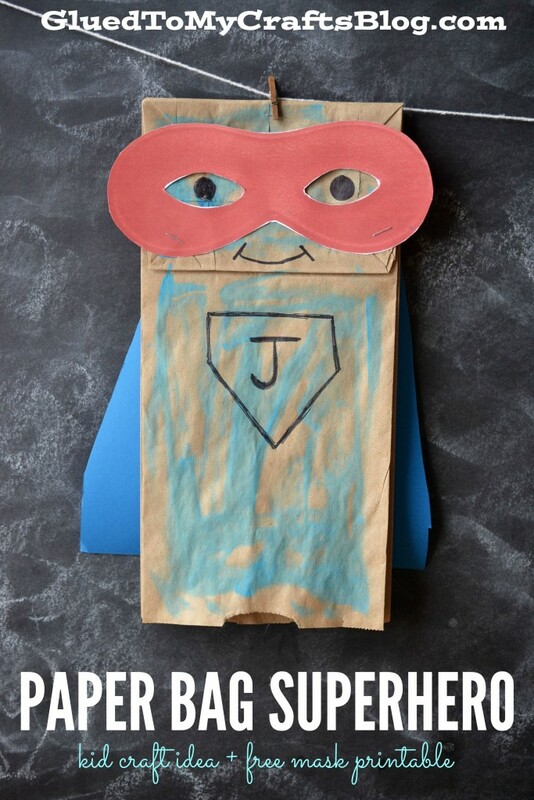 Paper Bag Superhero – This is a craft that may be more suited for the younger kids in the bunch. They’ll have fun coloring and creating their own super hero using simple materials that’ll only cost pennies on the dollar! Plus, there’s a free mask printable included! Just head on over to Glued to My Crafts Blog to learn more! 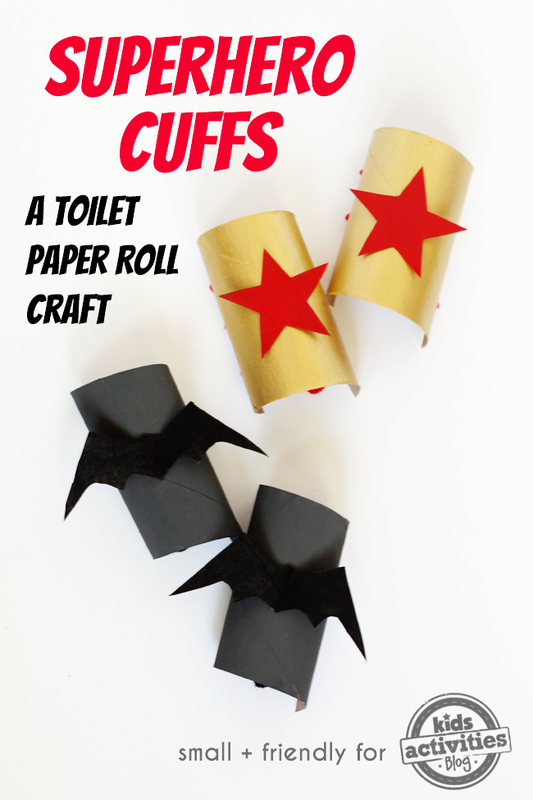 DIY Superhero Cuffs – A superhero’s outfit just isn’t complete without the matching cuffs! Kids can personalize their cuffs to match the persona of their own created superhero! The items needed to make this craft are simple, everyday items found in our own homes. Learn more about this craft by visiting Kids Activities Blog! 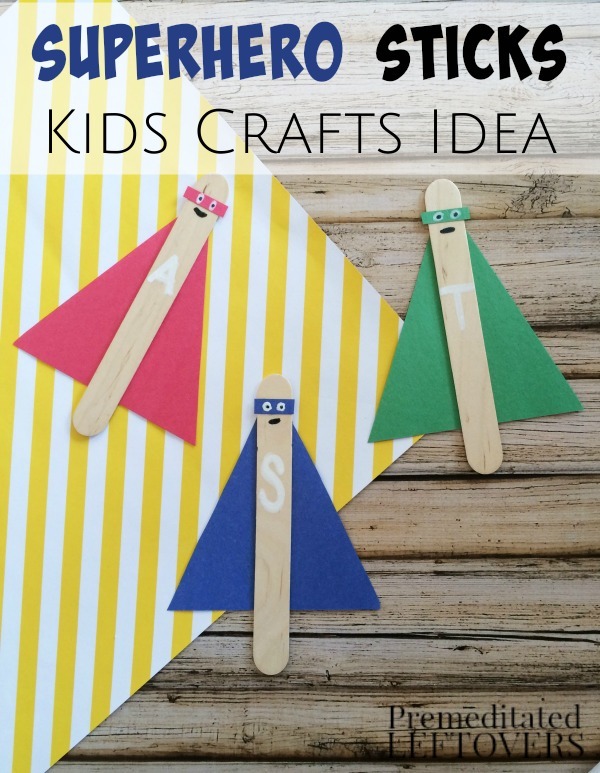 Craft Stick Superheroes – This is another cute little craft that’ll be more appropriate for the younger children attending VBS. These super cool little stick heroes are featured over at Premeditated Leftovers, so go check them out! 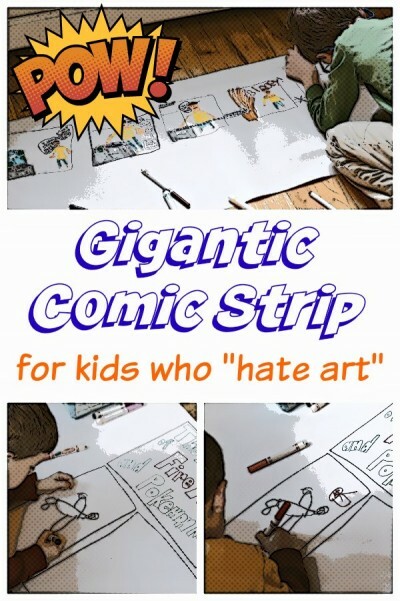 DIY Comic Strip Craft – This one is probably my very favorite craft listed here! Just think about all of the creative ideas kids will come up with when they’re creating their very own comic strip! You can find more ideas and details on how to create your own comic at What Do We Do All Day! 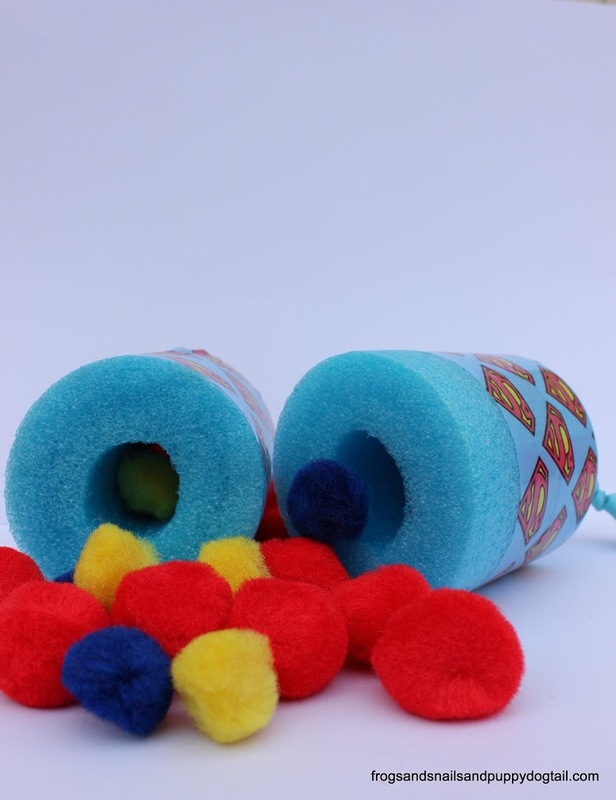 Superhero Pom Pom Shooter – Every superhero needs a defense mechanism, right? Why not let it be shooting pom poms at the enemy?! If you don’t mind mini pom poms flying across the room while you’re teaching class, then this craft might be a good fit for you! 😉 You can find out how to make these cute little shooters at Frogs and Snails and Puppy Dog Tails! 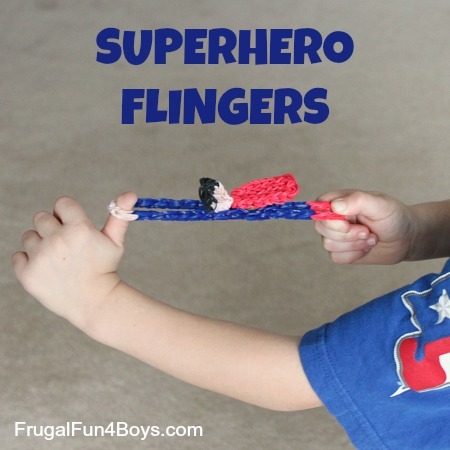 Rainbow Loom Super Hero Flingers – This craft requires a higher level of skill and possibly time, but it would be a huge hit with kids to get to make their own flying superhero! You can find all the details over at Frugal Fun 4 Boys! 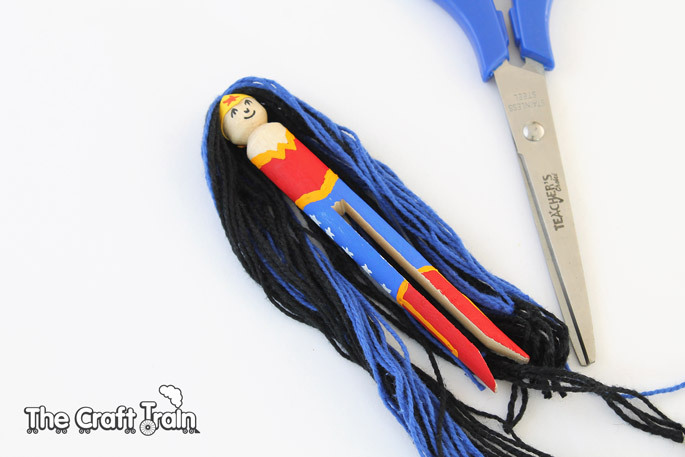 DIY Superhero Peg Dolls – Aren’t these little peg dolls just the cutest? 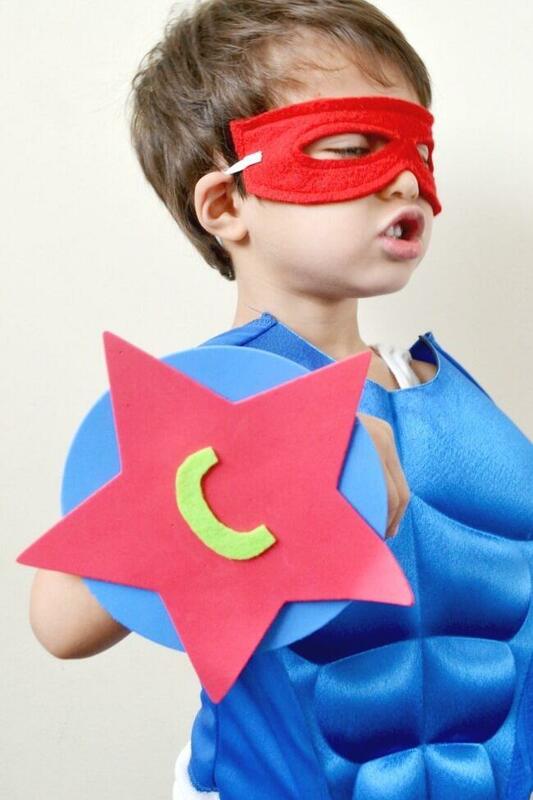 This craft isn’t just for the girls, little boys can have fun creating their own hero action figures, too! For a complete tutorial and for more ideas, visit The Craft Train! 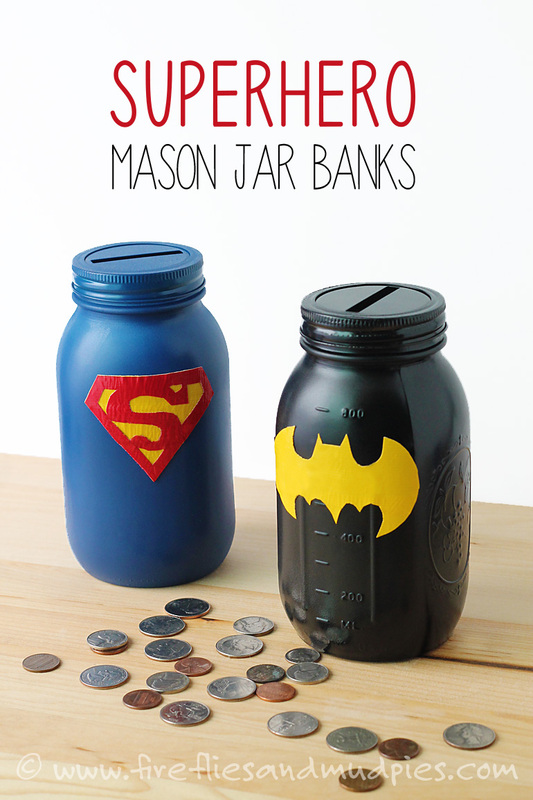 Mason Jar Super Hero Money Bank – Who doesn’t love a good mason jar craft?! They’re so versatile! This is another fun craft that kids can personalize and decorate however they’d like! You can even challenge kids to fill up their piggy banks and bring them back at the end of VBS for the offering! You can find all the details over at Fire Flies and Mud Pies! 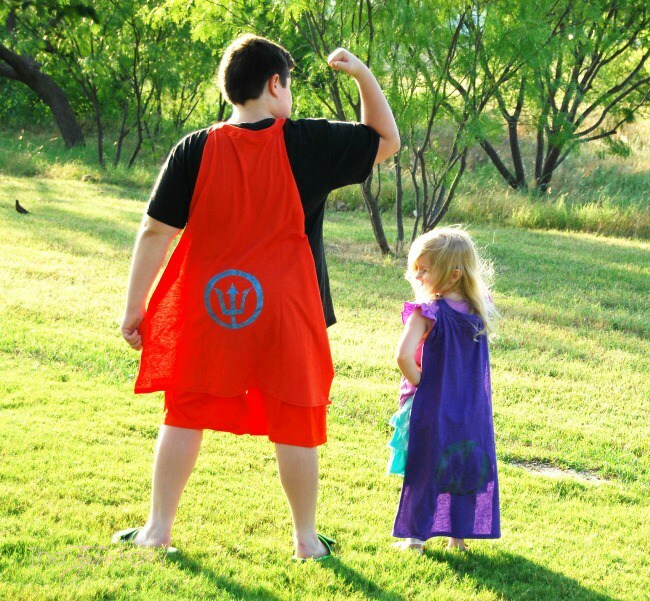 Will your church be participating in this SUPER awesome superhero theme this year for VBS? Do you have any other hero-inspired craft ideas that you’d like to share with the world? Drop a comment below and share the love! 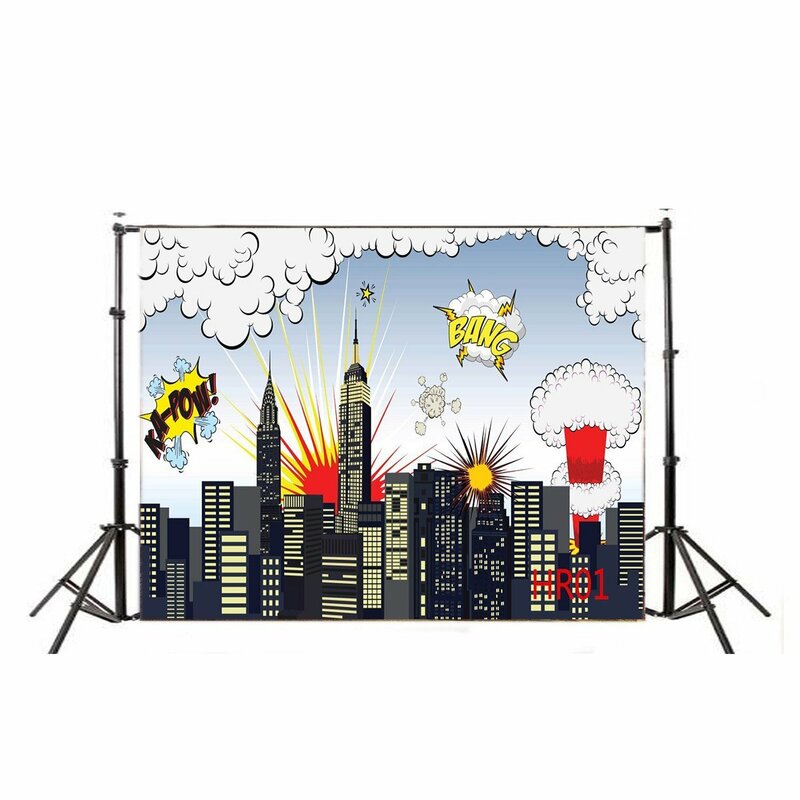 Update: I found this SUPER cool (and really inexpensive) backdrop that will be PERFECT for snapping pictures of the kiddos with their crafts in front of. Check it out!